Leucocoryne have a striking appearance and a beautiful fragrance that, combined with their long-lasting flowers, make them perfect to use as cutflowers. The saucer-shaped flowers are about 1" / 2.5 cm across. Clusters of 6-9 of them will form on each willowy stem and will last for several weeks. Their foliage is long, narrow and grass-like. 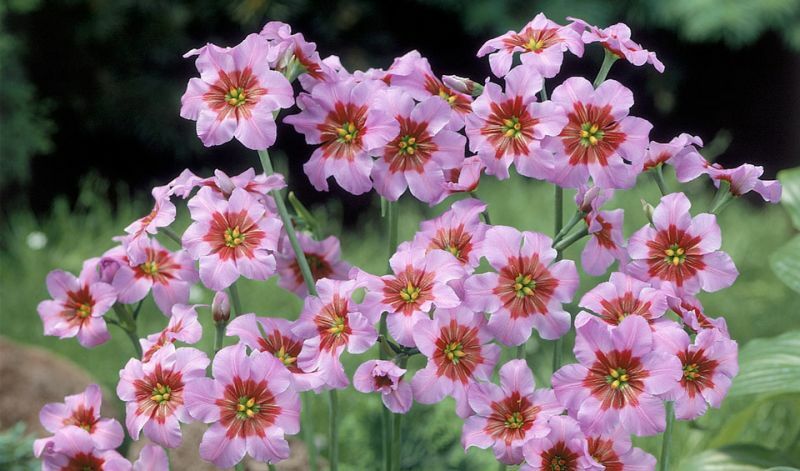 Ideal bulbs for rockgardens, pots & containers or in small seasonal beds. In rockgardens, small seasonal beds, containers or as cutflowers. 'Andes' (purple-pink), 'Blue Ocean' (blue, white heart), 'Dione' (lilac-blue, white heart), 'Sunny Stripe' (white & purple) and 'White Dream' (white). They grow wild in the foothills of the Andes along the entire length of Chile.